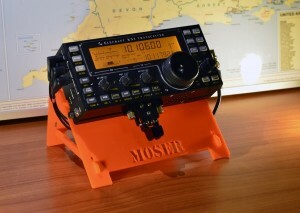 SOTAbeams (UK) has a new range of perspex stands for popular QRP CW radios. These include personalized ones with callsign for K1, KX3, FT817, and X1M, and a non-personalized one for KX1, HB-1B, and R4020. Click here to view SOTAbeam’s range of radio stands. This entry was posted in Announcements, Portable, Product Announcements, SOTA and tagged radio stands, SOTA, SOTAbeams. Bookmark the permalink.